For years, private student lenders have had to make adjustments to repayment plans in order to comply with the Servicemembers Civil Relief Act, but some are starting to offer similar options to civilians. Wells Fargo was recently the first private student loan lender to announce that it will start modifying its private loans for borrowers undergoing financial hardship, according to Forbes. Discover Bank made a similar announcement, stating that it will launch a student loan repayment assistance program early on in 2015, but as of yet the details have not been released to the public. Generally speaking, private student loans are understood to be less desirable than federal loans, the news source explained. Federal loans are subsidized, driving down the interest rate, and offer a number of protections to borrowers. By contrast, private loans offer no such protection. However, because there is a limit to the amount that borrowers can take out through federal student loan programs – ostensibly for those borrowers' own protection – many are forced to turn to private loans to make up the difference when federal loans are exhausted. Why are private lenders willing to make adjustments to borrowers' repayment plans? Because so many of their borrowers get into financial trouble after having taken out massive loans to pay back their education costs, private student loans have a high risk of default. Rather than allowing this to happen, which damages the borrower's credit but also results in the creditor losing the lent money, it makes sense to make allowances for struggling borrowers. Borrowers who want to apply for the payment plan adjustments offered by Wells Fargo will have to demonstrate their financial hardship, according to Forbes. This may include the submission of pay stubs, other income documentation, proof of job loss, medical bills or any other information that might help to give the creditor a fuller sense of the borrower's financial picture. After this, the company will make a decision regarding the best way to move forward. Active duty servicemembers already have some protections in place that may help to protect them from financial hardship as a result of their service or student debt. Lenders in the private student loan sector need to be aware of these protections in order to stay in compliance with the Servicemembers Civil Relief Act. One of the most important protections under the SCRA is the maximum interest rate. 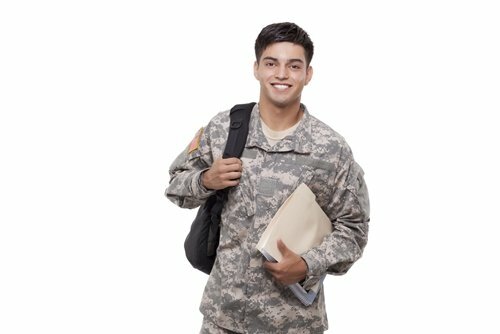 All student loans taken out before the servicemember entered active duty are eligible for an interest rate cap of 6 percent, including private student loans. Those servicemembers who contact their lender and request the rate during or up to 180 days after being on active duty must be given an adjustment to accommodate this right. This may include a refund of money spent toward a higher interest rate. Complying with the SCRA is essential for any business in the lending sector. Recently, some lenders were found to be in non-compliance with the SCRA with regards to their student loan programs, resulting in a large out of court settlement. The Servicemembers Civil Relief Act Centralized Verification Service can help to make this process simple and easy.